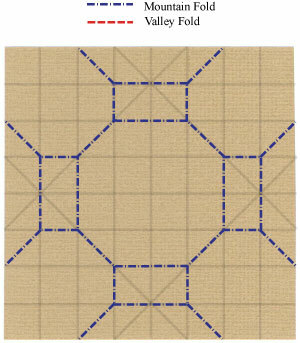 Apply four valley-folds of the step #8 and then unfold. Prepare to turn the paper over. 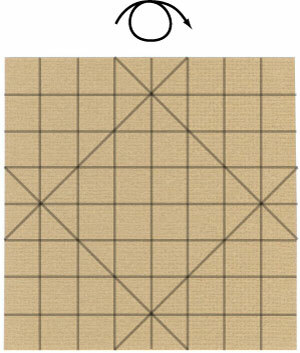 Prepare to apply a crease pattern (a set of mountain-folds) shown on the left.